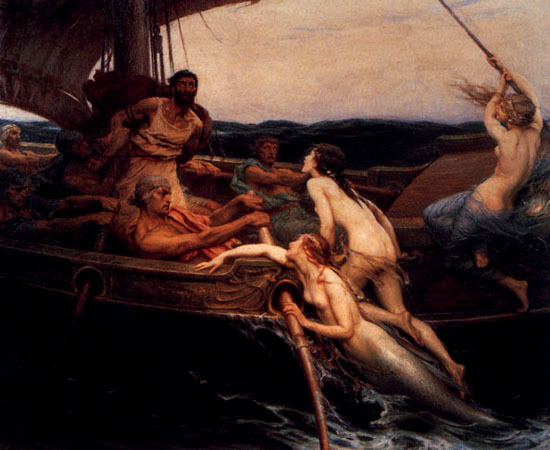 Unread books on the shelf are sirens calling. What are some of the ones beckoning you? How did they make it into your to-be-read stacks in the first place? Are you waiting to read a particular book? Maltese Condor: Before I began following some Amazon discussions a few years ago I didn't know what a TBR list was. Of course, I had a stash of books but once a great variety of wonderful recommendations came my way, my pile became a peak, so I now have a smaller, more immediate TBR. It usually includes something old (written before 1950), something new from more recent decade, something to make me laugh, something with a foreign vista and, last but not least, a book not dealing with murder. 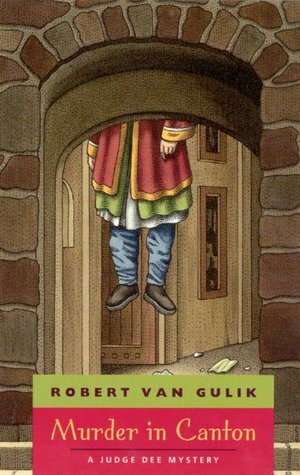 While Peter Lovesey's The Detective Wore Silk Drawers was written in 1971, it is part of a very nicely written series about Sergeant Cribb and Constable Thackeray, who are pounding the streets of Victorian London in search of criminals with unusual twisted minds. I first read these many years ago and have been looking forward to the repeat experience. Usually, my "old" pick is a classic mystery. 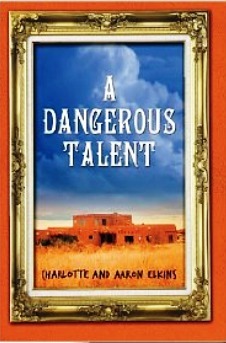 My "new" choice is Charlotte and Aaron Elkins's A Dangerous Talent, in which a young art consultant, Alix London, is introduced. Alix has had a reversal of fortune and is making a new life for herself in Seattle. I am really looking forward to this one. 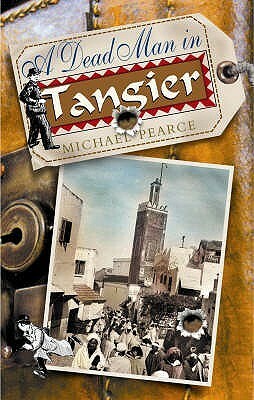 I am expecting Michael Pearce to lift my spirits with A Dead Man in Tangier. Things are in turmoil in 1912, especially in Tangier. Sandor Seymour is a member of a flying squad before there were such things. He is an officer of England's Special Branch and he travels to hot spots in the British empire to unravel messy situations in a humorous fashion. I feel this author is one who can be relied on to entertain me. 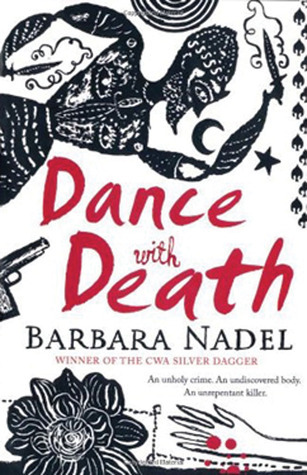 Dance with Death, by Barbara Nadel, is my visit to a different culture for the coming week. Inspector Ikmen has to leave Istanbul and travel to Cappadocia to investigate the violent death of a woman who has lain undisturbed for two decades. I will have to do a little googling in this case. 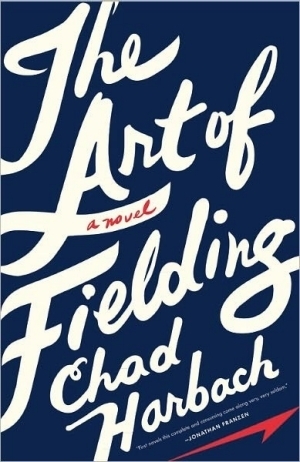 Rounding off my mental stimulation will be The Art of Fielding, by Chad Harbach. This is a perfect time to read this, since our local high school baseball team just lost the state championship by one run as the result of a beautifully played game with a weenie two-run error. Aah. You remind yourself that somebody has to lose. My rule of thumb is that my next book choice must always be fluid and flexible. One book tends to lead to another. Recently, reading a book about a blizzard may lead me to reading about Africa. And if I do read these as planned, I may need to read more home-grown talent next week. By the way, my time estimates are usually waaaay off. But if I could allot at least 10-12 hours a day for reading and the rest for work and all the other boring routine stuff, reality wouldn't be such a splash of cold water in my face. Della Streetwise: Spies! I'm always in the mood for stealing secrets and double dealing. My John le Carré books are demanding a re-read, but before I begin all over with The Spy Who Came in from the Cold, I'm going to read a le Carré I haven't read yet: Our Kind of Traitor. It's about international money launderers for Russian organized crime. I do a lot of chauffeuring my kids around during the summer. Guess what I'll take in the car to read? It was written in 1951 and published in 1957. Mostly autobiographical and based on cross-country trips with friends. The original draft was on a roll of paper 120 feet long and there were no paragraph breaks. It speaks for the Beat Generation. Jack Kerouac's On the Road. The Blind Assassin by Margaret Atwood begins in this way. "Ten days after the war ended, my sister Laura drove a car off a bridge." It's the famous book with the novel-within-a-novel. Laura's science fiction novel and her sister Iris's memories wind around each other. 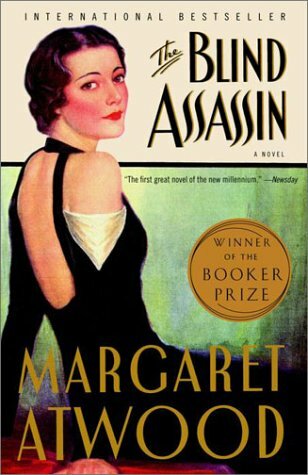 Atwood won the Booker Prize for this, her tenth book. An ex-spy! 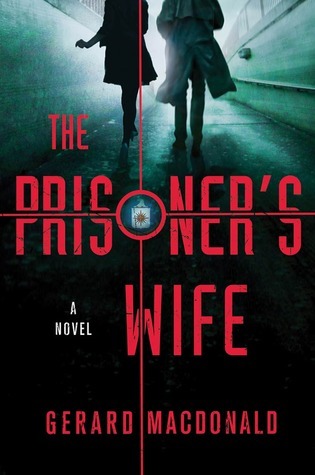 Gerard Macdonald's The Prisoner's Wife tells the story of ex-CIA agent Shawn Maguire's search to find Darius Osmani, an Iranian secretly held by the Americans for interrogation. Joseph Kanon: Istanbul Passage. World War II is over, but when one last job goes awry, Leon Bauer is caught up in shifting loyalties, double-dealing and deadly maneuvers that rival anything that could happen during wartime. Ben MacIntyre: Double Cross: The True Story of the D-Day Spies (Advance Review Copy). Speaking of wartime double-dealing, this nonfiction book tells the better-than-fiction story of a motley collection of double agents tasked by British intelligence to trick the Nazis about the location of the D-Day invasion. 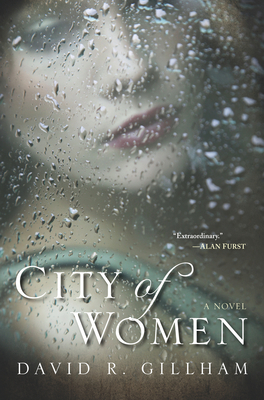 David R. Gillham: City of Women (ARC). Non-mystery literary fiction about a group of women in World War II Berlin. To be released August 7. 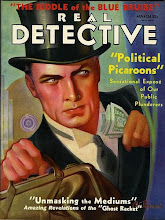 Gerald Jay: The Paris Detective. 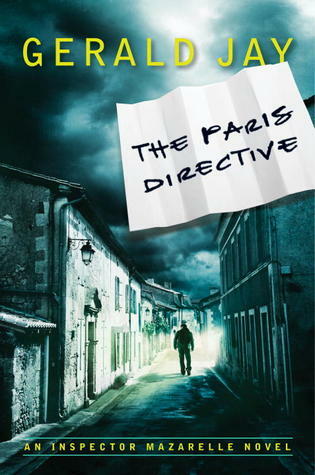 A police procedural/thriller set in the Dordogne in the 1990s and featuring a Maigret-like Inspector Mazarelle. 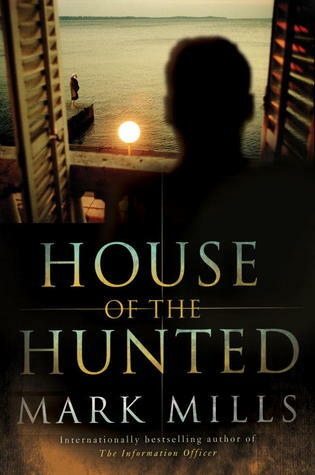 Mark Mills: House of the Hunted. Espionage on the Cote d'Azur, 1935. 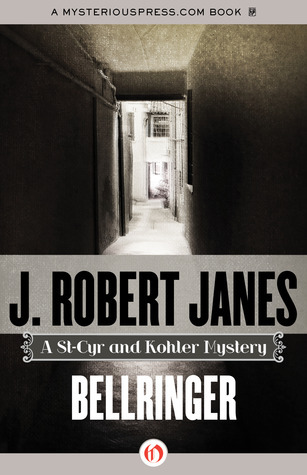 J. Robert Janes: Bellringer (ARC). Murder in a Vittel, France internment camp for British and American women during World War II. Number 13 in the Kohler/St. Cyr series. To be released on June 5. 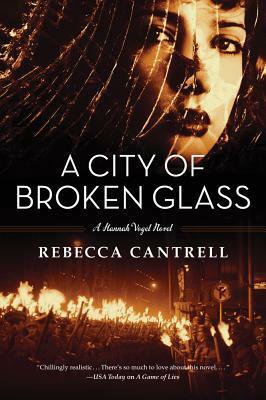 Rebecca Cantrell: A City of Broken Glass (ARC). Fourth in the Hannah Vogel series, this one takes place in Berlin around the time of Kristallnacht. To be released July 17. I wish I could read Spanish, because I've seen some intriguing books written in that language. I couldn't resist Spaniard Victor del Àrbol's The Sadness of the Samurai when I learned it had been translated into English. It's a story of "rebellion, murder, and political ideology," as a dying woman in 1981 Barcelona looks back at pro-Nazi Spain in 1941. Love Joe R. Lansdale. He's insightful, funny and raunchy, and he can write like nobody's business. 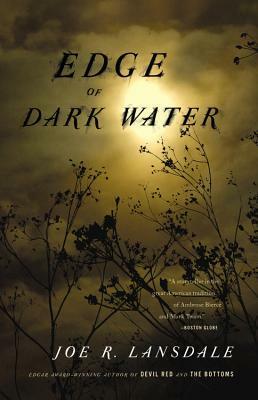 The one on my shelf is his 2012 book of East Texas noir, Edge of Dark Water. I need to get to it soon because I like the synopsis: May Lynn dreams of going to Hollywood. When she dies, her friends want her dream to come true. So they plan to dig her up, burn her to ashes, and take her to Hollywood that way. They'll finance this plan by stealing some money. I enjoyed David Mitchell's imaginative Cloud Atlas, and number9dream is another Mitchell book. From Kirkus Reviews: "A wildly inventive set of variations on an abandoned young Japanese man’s Sisyphean search for his father under the aegis of John Lennon and the mystical number nine." I hate Sisyphean tasks myself, but reading about them can be a recipe for bittersweet, and I appreciate bittersweet. I've been discussing Julian Barnes's The Sense of an Ending with Sister Mary. That's been so much fun for me that I added Alex Grecian's The Yard to my TBRs after reading her comments about it. I want to see if I agree with her. I'm in the mood for Victorian London, so I'll read it soon. I'm looking forward to Anne Korkeakivi's An Unexpected Guest. Clare Moorhouse is an American married to a high-ranking diplomat in Paris. She must host an unexpected––but very important––dinner party. Potential problems threatening Clare include a deeply buried secret (gotta love those dark secrets that come crawling out of the past). Do you have a book you're saving for a certain time of the year? I do. Life and Fate, a 1959 novel by Vasily Grossman, is slated for this winter. I'm very fond of Russian and Balkan novels. I'm interested in sieges (hey, everybody has at least one odd interest), and this book begins with the German siege of Stalingrad and ends with the German surrender. Reading it on the beach just wouldn't be right. Periphera: Travel in time and space! There are still a few of Robert van Gulik's mysteries about the celebrated 7th century Chinese Judge Dee Gong An that I haven't read. In Murder in Canton, he has achieved the highest rank of judges, with authority second only to that of the Emperor. In this story, he personally goes undercover to investigate the murder of an Imperial Censor in China's most important city, with the aid of a blind cricket-seller girl. Also from the Orient, I have a copy of The Dragon Scroll by I.J. Parker, set in 11th century Japan. Sugawara Akitada is an impoverished young nobleman in the Emperor's service. He is sent out on an impossible mission to a remote province to determine why the convoys delivering tax revenues to the capital have been disappearing without a trace. My brother's fondness for Guinness, and a picture on the wall of his favorite Irish pub, made me curious about Lady Caroline Blackwood, the beautiful restless heiress of the Guinness fortune. 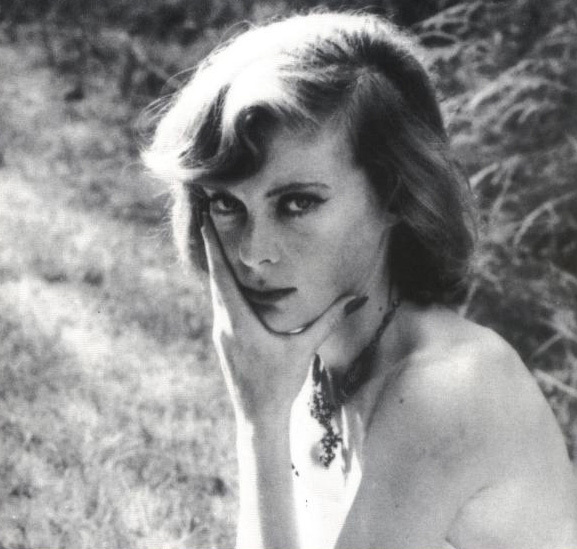 She was the epitome of a jet setter before the term existed, having had four husbands and a writing career before her death in 1996. I have two of her books in my TBR pile: the semi-autobiographical Great Granny Webster, about a controlling martinet in the huge gothic mansions of the aristocracy, told through the eyes of an orphaned girl; and Corrigan, the story of lonely widow who befriends a crippled man who soon exerts a great deal of influence over her. If I enjoy these, I will move on to her biography, Dangerous Muse by Nancy Schoenberger. 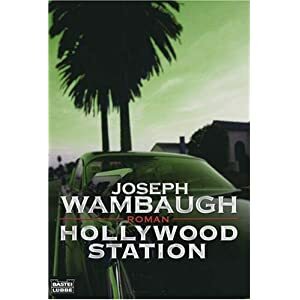 Meanwhile, I am woefully behind in reading Joseph Wambaugh's Hollywood Station for a reading group. I don't know why I have avoided this author in the past; the book so far is a lively and well-written story about the insanity the police deal with in tinsel town, where almost everyone is an actor or a wannabe of one sort or another. There is some rough language and political incorrectness (one of the officers needs to stop frequently to use a breast pump, to the dismay and embarrassment of her grizzled senior partner), but nothing out of line with the setting or the collection of very strange characters. We'd love to snoop through your TBRs. What books are calling to you?